Black Label Society in Montreal or Quebec City? Inform me about the next events for Black Label Society. Enroll yourself to our priority waiting list for Black Label Society to be alerted when new tickets are available. Filling this form doesn't engage you to any purchase. Black Label Society will be performing at the Metropolis, in Montreal, on October 14th, 2010, alongside Clutch and Children of Bodom. 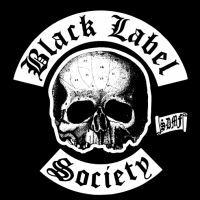 WIth a new album under way, Order of the Black, Black Label Society will have 8 items to its discography. Discovered in the late 80's as the guitarist for Ozzy Osbourne, Zakk Wylde formed Black Label Society in 1998. The band quickly became one of the most influential bands of the metal scene.